080625-M-0074F-027, originally uploaded by jdubfudge. 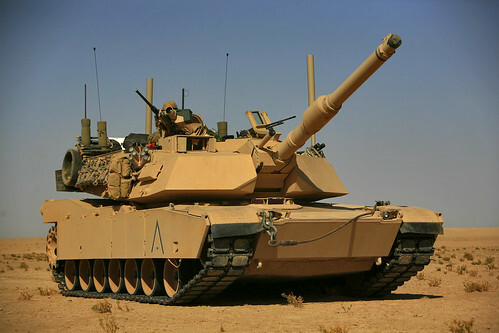 U.S. Marines with Company A, 4th Tank Battalion, Task Force Mech (TF Mech), Multi-National Force - West (MNF-W), Ground Combat Element (GCE), wait in their M1A1 Abrams tank before firing their main gun in the Jazeerah Desert, Iraq on June 26, 2008. TF Mech is conducting disruption operations in part of Operation Defeat al Qaeda in the North (Op DAN) to deny enemy sanctuary and prevent foreign fighter entry into the area.